As a mum, I am constantly worrying if my little guy is getting enough of a well balanced diet. 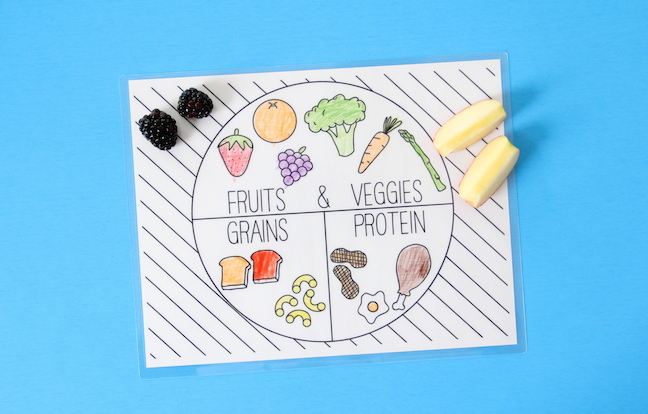 Fruits and veggies, proteins and grains. You know what they need, but getting it into their little bodies is another story. So I made this printable food groups placemat! 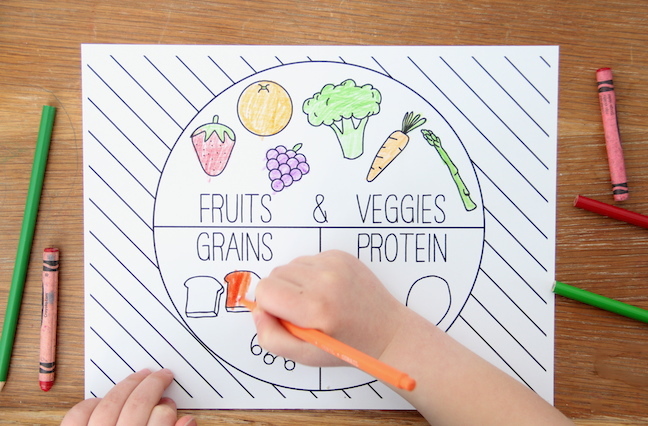 It is fun for kids to colour and see what foods they need in their diet, and you can laminate it to use it at mealtimes for a helpful reminder. It wipes clean! 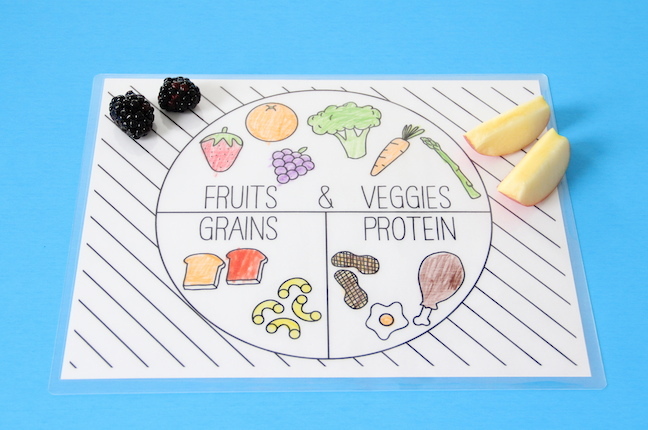 The kids will love seeing their artwork and placing what they’re eating into the right category. My son is a big fruits and veggies kid. But getting him to eat protein is where we hit trouble. In the short time we have been using this, he has been excited to learn what things he can put on his placemat and eats them up happily! It’s been a definite win-win!